HODIE (Roman Calendar): ante diem tertium Idus Ianuarias. MYTHS and LEGENDS: The art image for today's legend shows Heracles and Cerberus; you can also see the legends for the current week listed together here. 3-WORD MOTTOES: Today's 3-word motto is Ut prosim aliis (English: So that I may be useful to others). 3-WORD PROVERBS: Today's 3-word proverb is Alienis malis discimus (English: We learn from other people's troubles). 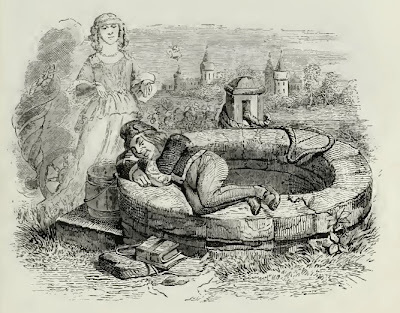 RHYMING PROVERBS: Today's proverb with rhyme is: Nocte laboratum non est opus undique gratum (English: When a work is done by night, it is not pleasing in any way ... anyone who's pulled an all-nighter to write a paper knows this is true!). VULGATE VERSES: Today's verse is Super omnia vincit veritas (I Esdras 3:12). For a translation, check out the polyglot Bible, in English, Hebrew, Latin and Greek, at the Sacred Texts Archive online. ELIZABETHAN PROVERBS: Here is today's proverb commentary, this time by Taverner: Heroum filii noxae: The children of most renowned and noble personages, be for moste parte destructions to a common welth. Verelye our elders have observed from time to time, that the children of most excellent and wise men have growne much out of kinde from the vertues and prowesse of theyr progenitours. BREVISSIMA: The distich poster for today is Verae Divitiae. Click here for a full-sized view; the poem has a vocabulary list and an English translation, too. 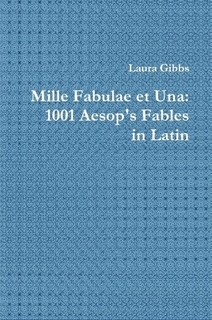 MILLE FABULAE: The fable from the Mille Fabulae et Una widget is Sutores et Mercurius, a funny little story about those deceitful cobblers. FABULAE FACILES: The fable from the Fabulae Faciles widget is Fortuna et Puer, a story about blaming "luck" (this fable has a vocabulary list).